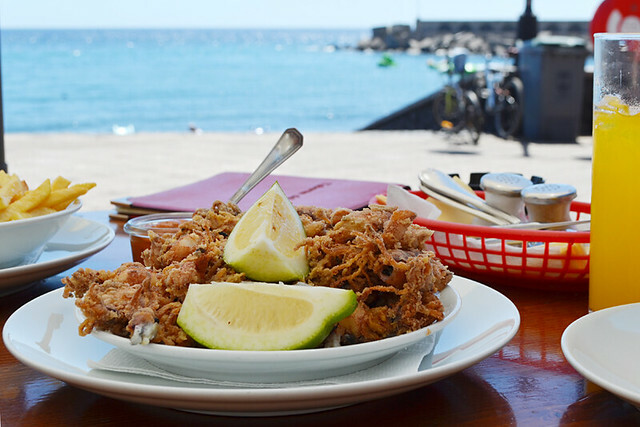 A study into what visitors to the Canary Islands thought about the food they experienced has thrown up some interesting and illuminating findings. Organised by the Canary Islands Tourist Board, the research concluded that almost 8.5 out of every 10 visitors had a positive culinary experience. But it also revealed many multi-national visitors felt there wasn’t a lot of variety in the cuisine and much of what was on offer was too touristy. 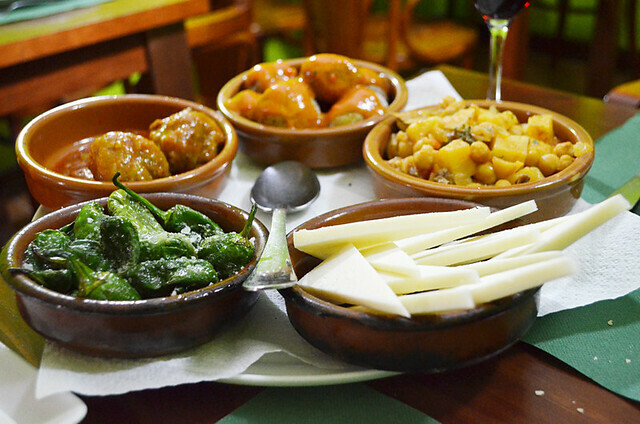 The study also found many visitors struggled to find restaurants serving Canarian food. Chopitos – baby squid on La Palma. 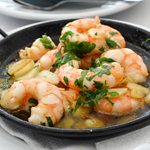 The Canary Island which came out with the most favourable gastronomic feedback was Lanzarote. All of which shows that some studies are only as reliable as the knowledge of those who participate in them. In this case perceptions and reality live in different universes. Cabra – goat on Fuerteventura. The problem with studies involving visitors to hugely popular holiday destinations like the Canary Islands is a high percentage of those visitors have a very limited experience of whatever island they visit. 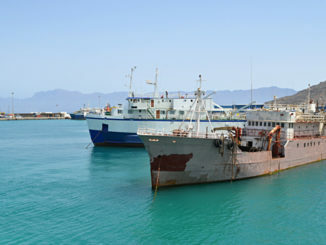 Often this only relates to its purpose-built resorts, designed and built around meeting the holiday requirements of those who have chosen a destination primarily because of almost guaranteed sunshine rather than its culture. Lubina – sea bass with papas arrugadas (wrinkly potatoes) on La Gomera. By their very nature, purpose-built resorts are the last places to find local culture, deep-rooted traditions… and authentic local gastronomy. Much of the food will be touristy, aimed at an inoffensive middle ground of tastes – pizza, pasta, steaks. I was amused recently reading complaints about a rare Spanish restaurant in Playa de las Américas on Tenerife because, basically, it was too Spanish. The travel irony of mass tourism resorts is some people chose them because they’re not foreign and are almost outraged when they accidentally stumble into somewhere English isn’t spoken. 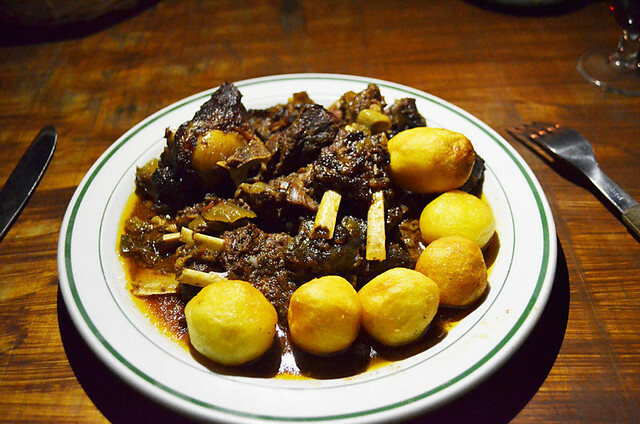 Not being able to find authentic local nosh in a resort should be something which is obvious. But I’ve seen numerous comments from people who have stayed in resorts on Tenerife who complain you can’t find good authentic Spanish food on the island (even though they should really be looking for authentic Canarian food). I don’t understand this type of traveller. If someone wants authentic cuisine, then why not choose a traditional town or even a resort with traditional roots to stay in rather than a purpose-built one? Stray outside the resorts on the islands with big Canarian populations and you can’t help but fall over traditional restaurants. There are hundreds of them, many of which rarely see visitors. In all our visits to Guachinches (Tenerife’s ramshackle pop-up ‘restaurants’) over the years, we only saw other non-Spanish/Canarians in one, and that was in a town during a fiesta which attracts visitors from all over the world. Lapas – limpets on El Hierro. Despite this, the research reported visitors struggled to find Canarian restaurants. 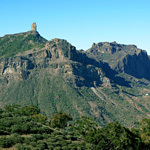 I covered this recently in an article on our Real Tenerife website. Again it partly comes down to the limited experience/perceptions of people staying in resort areas on islands like Tenerife and Gran Canaria. 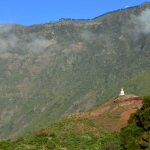 On La Gomera, La Palma and El Hierro you aren’t going to get the same findings. Lanzarote and Fuerteventura are different. A mix of low Canarian populations and the highest percentage of visitors staying all inclusive (double that of Gran Canaria and Tenerife) means the number of restaurants which exist for locals rather than visitors away from resort areas is limited. 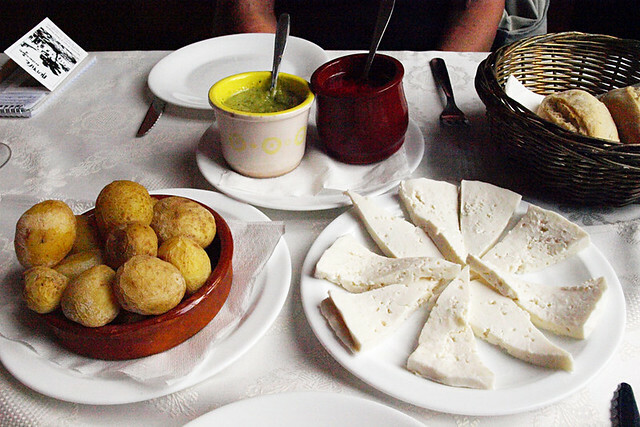 Local cheese and mojos on Lanzarote. On Fuerteventura there are inland towns where we’ve struggled to find somewhere to eat after 8pm; something which clearly doesn’t reflect Spanish eating patterns. On the smallest Canary Island, El Hierro, we rolled into Tigaday around 11pm and had no problems finding restaurants which were open. 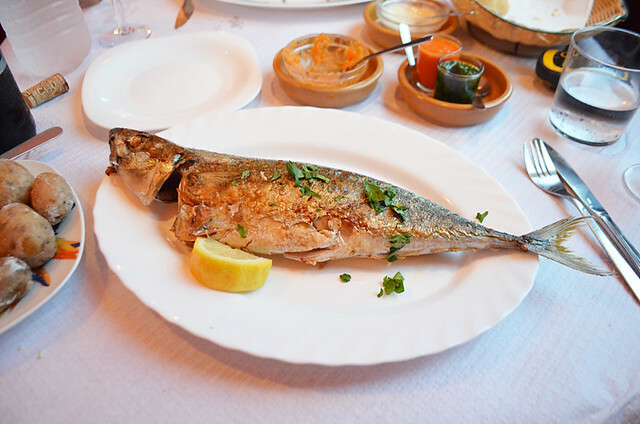 Yet Lanzarote came out tops in the gastronomy stakes (or is that steaks)… even though the only island with Michelin star restaurants is Tenerife with five compared to zero across all other islands. Incidentally, Tenerife probably has the most Canarian restaurants as well. 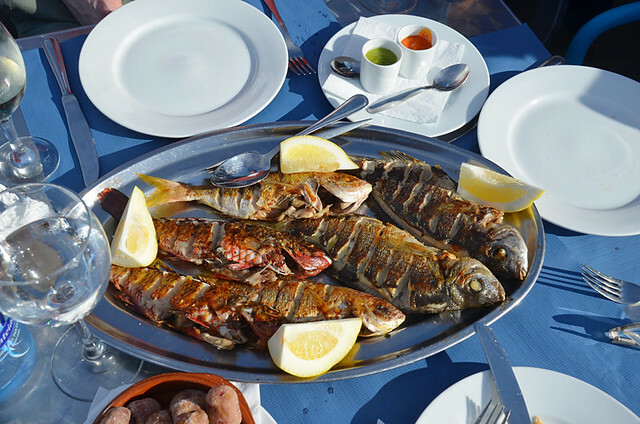 Parrillada of locally caught fish on Tenerife. The bottom line is if you want accurate findings into the reality of gastronomy in the Canary Islands, you won’t find it by asking people who stay in purpose-built resorts. But their perceptions versus reality are interesting. 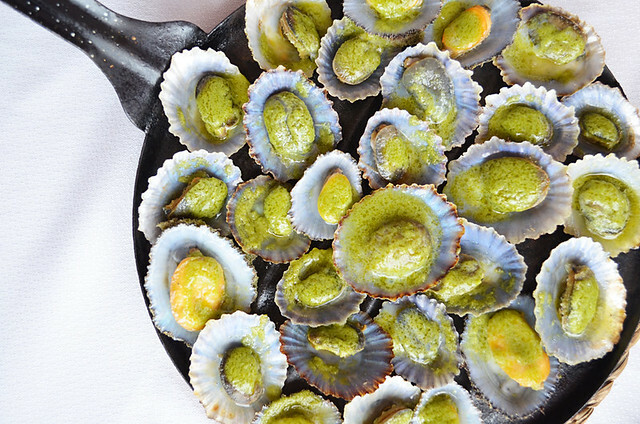 Coming soon – How good is Canarian cuisine?